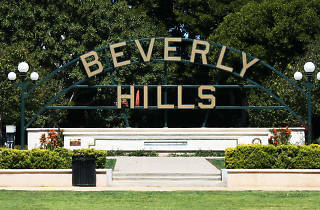 Businesses seem to go out of their way to slip "Beverly Hills" into their name just to be able to associate with the star-studded, ritzy city. We're not sure what's worse: venues just across the border that so badly want to be able to claim a Beverly Hills address, or spots miles away that have no business putting the city in their name at all. We'll let you be the judge: We've listed as many not-actually-in-Beverly Hills businesses* as we could find and ranked them according to their actual distance from the city. 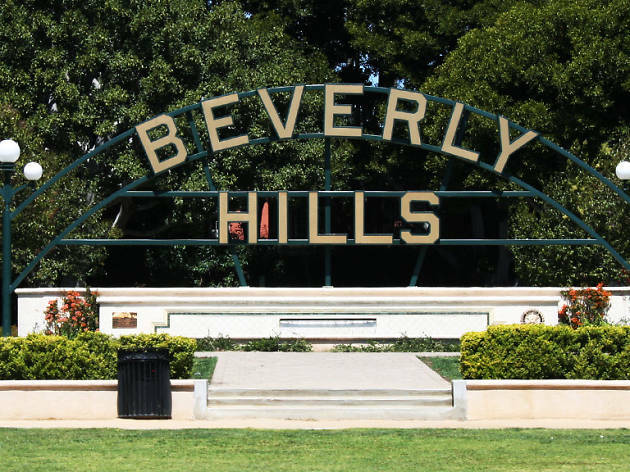 *We've omitted the innumerable plastic surgery practices with Beverly Hills in their name, not because we wanted to take the high road, but because there are just too many to count. Its La Cienega entrance keeps this hotel in Los Angeles, but two other sides sit on Beverly Hills streets. So close. Since it's right across the street, we imagine this is where the Beverly Hills High School kids get their braces tightened. Since it's right across the street, we imagine this is where the Beverly Hills High School kids get their faces tightened. From the people who came up with "Los Angeles Angels of Anaheim," presumably. Well someone has to catch all of the Google search traffic for "Beverly Hills rehab." For $45 more, you can even have a room with a view of Beverly Hills. "Raw since 1975." And wrong since 1975. If you can smell the toxic fumes from Beverly Hills, that counts, right? One meaning of a plaza is a service area adjacent to a highway. So we guess that makes this a rest stop before crossing the Beverly Hills border. Certified pre-owned Ducati motorcycles, a not-so-certified use of Beverly Hills. Hotel Palomar Los Angeles Westwood just wouldn't have the same ring to it. You mean Westwood? No, West Beverly Hills. So... Westwood. Why not Koreatown BMW? K-town is a half-mile closer. It's on La Brea a block away from a Roscoe's—not quite hallmarks of Beverly Hills. When you're a block away from the Culver City Metro station, it's safe to say this isn't Beverly Hills. The showroom and service center sit squarely in LA, though the fancy "Pre-Owned & Exotics" location can actually claim a Beverly Hills address. We guess Sherman Oaks is sort of the Beverly Hills of the Valley. You know, it's that industrial part of Beverly Hills: north of the 10, south of the railroad tracks and 15 miles east of the 405. Nothing says Beverly Hills like Shrek figurines, Hulk Hogan plush dolls and a Santa Clarita address. To be fair, there are also two locations in West LA and Manhattan Beach that are closer to, but still not in, Beverly Hills. We'd like to imagine there's a Corona Bridal Exchange opening soon on Rodeo Drive.